If you read my post on the Lancome Beauty Workshop, then you must remember me saying that my skin's firmness is above excellent, according to Lancome's skin testing machine. Well, unfortunately, it isn't Lancome that I have to thank for that, but Pond's. When I moved back to the Philippines last year, I read in Cosmo that young women in their twenties should start a skin care regimen as early as now in order to prevent the signs of aging, such as wrinkles and saggy skin. Among one of the products featured in the magazine was Pond's Age Miracle Overnight Repair Dream. I have been using this cream every night for a year now and, although I never had proof before, Lancome's skin test has proven that it really does work. Plus, it smells really good (my boyfriend loves smelling it on me when he kisses me good night) and it doesn't feel sticky or heavy at all when I put it on. 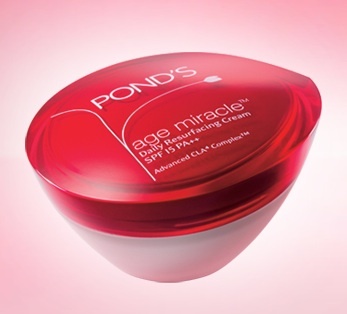 Pond's Age Miracle Daily Resurfacing Cream, which protects skin from the harsh rays of the sun and can effectively battle ages spots and lines in only 1 week. 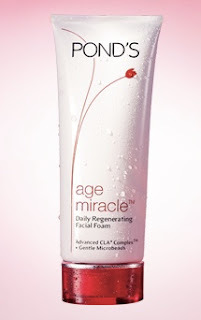 Pond's Age Miracle Daily Regenerating Facial Foam, which uses micro beads to gently regenerate your skin. 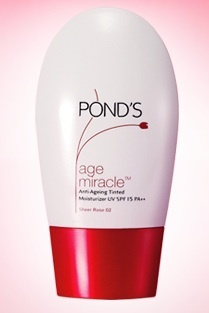 Pond's Age Miracle Concentrated Resurfacing Serum, which can effectively fight age spots and wrinkles. 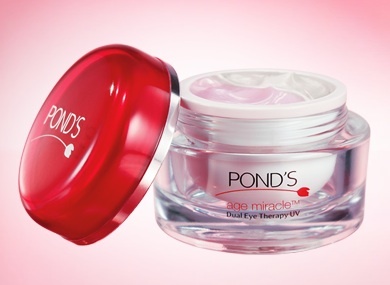 Pond's Age Miracle Dual Eye Therapy targets aging signs around the eyes. Since this cream contains collagen, it can reduce the appearance of crow's feet and fine lines and since it contents chamomile, it can help brighten up dark circles under the eyes and reduce puffiness at the same time. Will be trying this one out next! As you can see, Pond's is right. There definitely is a Pond's product for you. All photos taken from Pond's Philippines. 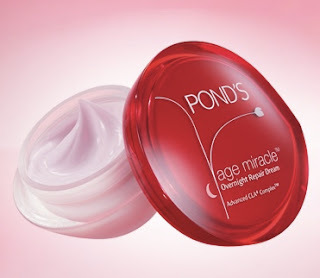 Where should i get all ponds age miracle produts in Pakistan (Karachi)???? Ponds is the leading company who make skin care products which is best ever in whole world.I like ponds products so much. Lol, I genuinely thought this was a page for a new wonder woman movie trailer.